Alcohol withdrawal occurs when people who routinely drink alcohol heavily suddenly stop. The symptoms of withdrawal can be numerous and varied, and they can take both mild and severe forms. Alcohol withdrawal is a response the brain engages in as a result to being frequently exposed to alcohol. People who regularly consume alcohol are consuming a depressant substance that slows the brain and nervous system down. As a result, the nervous system compensates by keeping the brain alert and the nerves communicating. When the alcohol abuse stops, and withdrawal symptoms begin, it is because the nervous system is in this excessively alert state. There are many individual factors that affect how alcohol withdrawal will manifest. The mildness or severity of alcohol withdrawal depends on health history or current health problems, amount of alcohol regularly consumed, length of time of alcohol consumption, mental illness and addictions, and the levels of stress experienced. The most severe forms of alcohol withdrawal are likely to be experienced by the person who has engaged in the most severe amount of alcohol abuse. There are a number of alcohol withdrawal stages and not everyone will experience all of them. Many people who experience alcohol withdrawal experience one or more of the following seven symptoms: anxiety, tremors/shakiness, increased perspiration, vomiting, racing heartbeat, fever, and confusion. In general three alcohol withdrawal stages are considered to exist. In the first stage, people may feel anxious with symptoms of confusion. They can also experience tremors and heart palpitations. In addition, gastrointestinal symptoms can manifest as well, including vomiting. In the second stage, the mental confusion can increase, as can the mood disturbances. People can experience increased heart rate, increased perspiration, higher body temperatures, and hyperventilation. The third stage, which is referred to as delirium tremens, can lead to death if untreated, and can cause hallucinations, seizures, and severe agitation. The first stage of withdrawal can occur within the first 24 hours of the last drink taken. After that, from 24 to 72 hours, the second and third stage of alcohol withdrawal can occur, and this is when withdrawal symptoms are usually at their worst for people who have engaged in the level of alcohol consumption that would cause them. Anywhere from 5 to 7 days after alcohol detox begins, the symptoms of withdrawal start to subside. If the person is not in treatment they may have additional psychological issues that linger for a number of weeks after they stop drinking. Because of the risks involved in alcohol detoxification, it is important to receive proper medical treatment whenever alcohol use becomes problematic. Sudden stoppage of alcohol consumption, especially for someone with a longstanding alcohol problem, can be dangerous. Alcohol rehab centers are able to provide the kind of treatment that will stabilize the person and treat symptoms of withdrawal. In rehab the person’s vital signs will be monitored to make sure they remain stable. Alcohol use can be slowly reduced under the supervision of rehab medical professionals to ensure withdrawal does not become severe. In addition, the person going through withdrawal is likely to experience poor nutrition, as prolonged alcohol use robs the body of many important nutrients. While in rehab a proper diet will help the individual recover from alcohol withdrawal more quickly, as will vitamin and mineral supplementation and proper sleep. 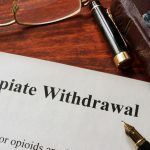 Institutions that specialize in treating people with alcohol withdrawal can make sure that these aspects of recovery are not ignored. After the initial danger of physical withdrawal has passed, many of these institutions will offer counseling and therapy to help the person cope with any lingering psychological effects they may have. Alcohol withdrawal can be severe and dangerous for people who have engaged in long-term chronic alcohol overuse. Luckily, there are ways to reduce the symptoms and ensure the person has a healthy recovery. Detoxification and drug treatment professionals are best suited to provide the kind of medical, nutritional and psychological support the person needs, so if severe alcohol withdrawal is a concern, it is recommended that the person see a medical doctor before deciding to detoxify on their own at home.